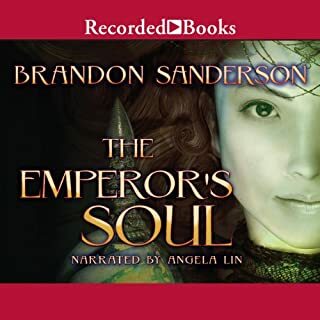 At three hours and fifty five minutes The Emperor’s Soul is a fairly quick listen, especially since it is written by Brandon Sanderson, but has the depth usually only found in epic novels. It is set in the world of Elantris, Brandon’s first published novel, but The Emperor’s Soul is a completely different story with a new magic system called Forgery. Shai, a Forger, can copy and re-create any item by using magic to rewrite its history. Now she must create a new soul for the emperor or be put to death. Even though most of the action happens toward the end Sanderson’s wit and writing skills never lets the story lag and I thought the narrator, Angela Lin, gave a good performance. This story should please Sanderson fans or anyone else who enjoys this type of genre. I’m a huge Sanderson fan and thoroughly enjoyed this Audio book. Marked as special at an early age, Jacinda knows her every move is watched. But she longs for freedom to make her own choices. When she breaks the most sacred tenet among her kind, she nearly pays with her life. Until a beautiful stranger saves her. A stranger who was sent to hunt those like her. For Jacinda is a drakia descendant of dragons whose greatest defense is her secret ability to shift into human form. 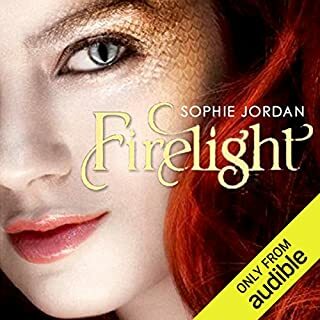 Firelight is a type of Romeo and Juliet tale where Will, who is a hunter, meets Jacinda who happens to be a drakia, an intelligent being evolved from dragons; Wills family hunts drakia. The Drakia keep a closely guarded secret that no one, not even the hunters know; they can transform into human form. As circumstances bring these two together there is an immediate attraction. Will lights her fire in more ways than one; which is not a good thing if Jacinda wants to keep the drakia secret. This book is written for a YA audience and, as is typically for this genre, heavily emphasizes teenage infatuation; but still is a good story even for an older listener. Know that this is book one of a series and does not have a concise ending, but sets up interest for the next book. 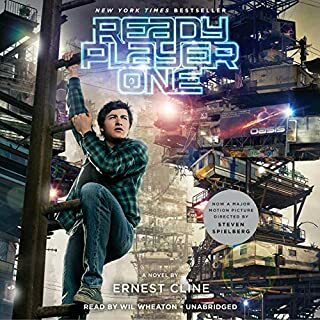 Many audio members have already written reviews about Ready Player One, but having just completed my first audible experience I felt compelled to add more praise to the long list. They say you’re never supposed to judge a book by its cover, but that’s exactly what I did when I saw the graphics advertising this book. To me the cover seemed outdated; the colors and lettering looked like something out of the eighties, and that’s precisely what they were going for; duh. So I was hesitant, but after reading all of the sterling reviews I decided there must be something here; and what a fool I would have been for missing out on this terrific entertainment experience. Part nerd nirvana, part coming of age saga, part cyberspace romance, part nostalgic trip back to the eighties, part historical dispose into the history of video gaming, part old time video quest; and one hundred percent fast paced fun, Ready Player One is a thoroughly enjoyable book. Also, like many have already said, I thought the pairing of this material and Will Wheaton was a natural; I will be looking for other audible books read by him; and I hope Ernest Cline is not finished here.